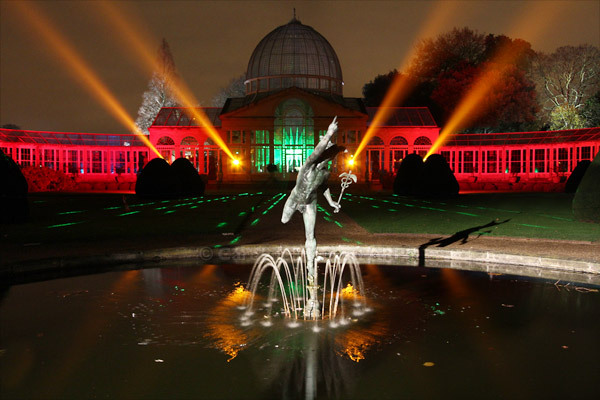 Notes: I spent a very enjoyable evening with some Flickr friends at Syon House for their Enchanted Woodland event. Lots of low light photography – trees, reflections and lasers! All good fun. This is a statue in the fountain outside the Orangery – inside of which is the laser show.